It`s recolorable. 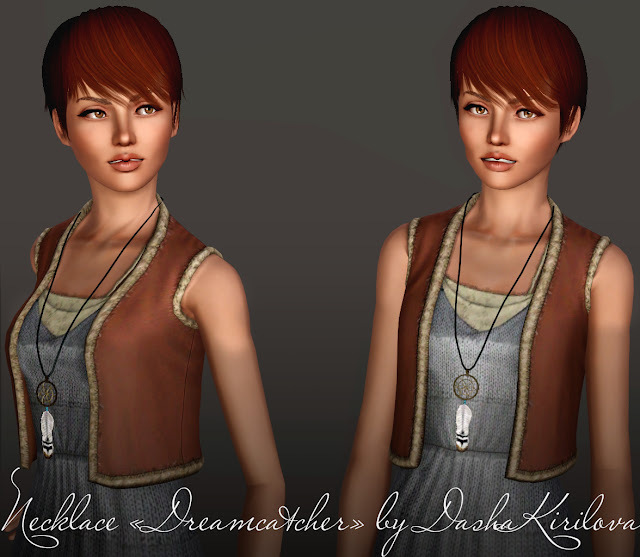 You also like earrings "Dreamcatcher"
You must have WorldAdventures expansion pack! Love it! Also love her dress, where can I find it? Thank you once again! Your work is so well-made, and the designs so cool >3< thank you thank you thank you for your amazing work!!! May I include the files of your designs within my sims packages (zip/rar files)? Your name and url will be included in the credits. Oh noo! Can you give my links? I think you need to update the game! I love this sooooo much ! But its not showing up :( I have the very latest update! You have World Adventures expansion pack? You have last version game? Hey! 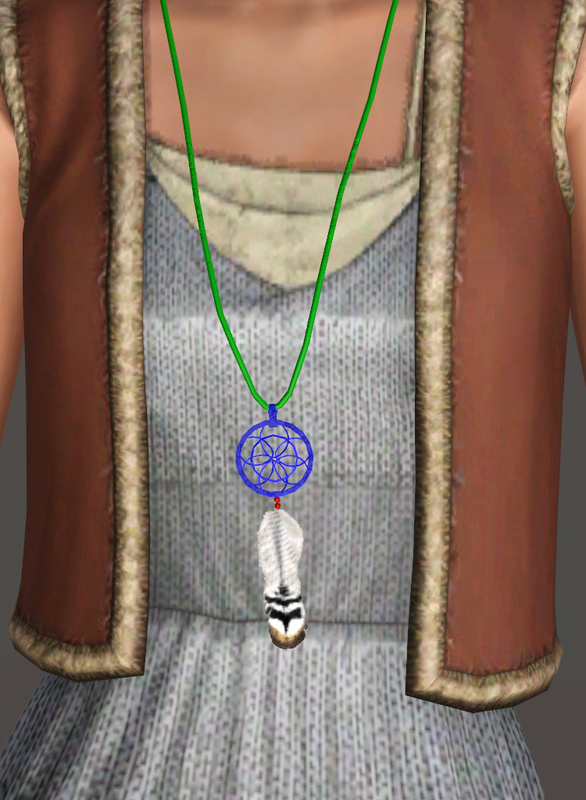 These are soooo gorgeous, this necklace and the earrings <3 It seems I can't reach the download link... Is it deleted or is it my PC which doesnt want to work? I know it's been several years for this, but I really wanted to download this, however the file is no longer on mediafire. Any chance someone knows where I can find it? Email me: rhaevynhart@yahoo.com Thanks!